NEWINGTON - New state Rep. Gary Turco has hit the ground running, with several legislative proposals already in the works. 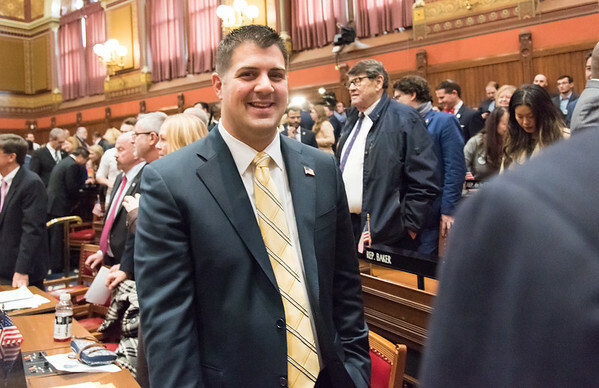 The Newington resident was sworn in Jan. 9 to represent the 27th House District in Connecticut’s General Assembly. “It was a really heartfelt moment and such an honor to have this opportunity,” Turco said this week. House Speaker Joe Aresimowicz appointed Turco vice chairman of the Higher Education and Employment Advancement Committee and assistant majority leader for the House Democratic Caucus, leadership positions that are uncommon for a freshman legislator. Turco is already working on legislation to make college more affordable. “I’m excited, as vice chair I get to have a leadership position in doing that,” he said. The town’s new legislative contingent also includes Sen. Matt Lesser and State Reps. Kerry Wood and Rick Lopes. The team has proposed S.B. No. 18 to prioritize funding for a proposed Hartford line train station on Cedar Street as part of a larger legislative package. It would work hand-in-hand with another proposal to encourage development around that train station. H.B. 5260 would authorize a $100,000 grant-in-aid the town could use to hire a consultant to plan what is known as a transit village design district overlay zone. “We believe that would be a good state investment,” Turco explained. Newington legislators have also proposed H.B. 5259, to authorize a $500,000 grant for streetscape and economic development improvements around the center of Newington. This would allow the town to begin Phase 7 of its streetscape project downtown. These bills are currently being reviewed by the Joint Committee on Finance, Revenue and Bonding. Others still in the draft stage include the conveyance of 18.8 acres of land on Cedar Mountain to the town for preservation. 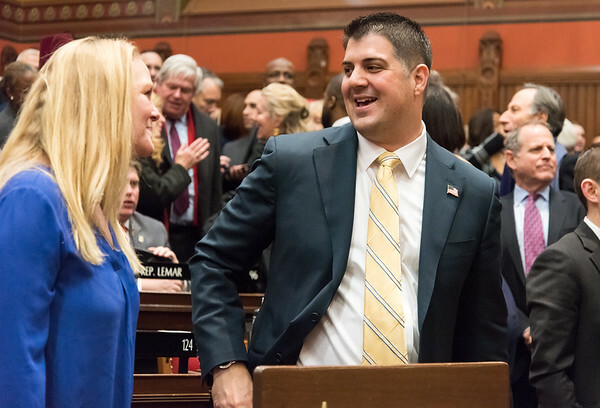 As a member of the legislature’s Children’s Committee and Insurance and Real Estate Committee, Turco has several other initiatives in the works. Connecticut has long been known as the Insurance Capital, Turco said, adding that he plans to address high insurance costs in the health and business sectors. On Tuesday, Jan. 29, Newington’s legislators are hosting an open discussion forum at the Lucy Robbins Welles Library at 7 p.m. Residents are invited to share their ideas, needs and wants for the 2019 session.